GARDNER'S ART THROUGH THE AGES: THE WESTERN PERSPECTIVE, VOLUME II, gives you the tools to master your course material. A unique scale feature will help you better visualize the actual size of the artworks shown in the book. Within each chapter, the 'Framing the Era' overviews, timeline, extended captions, and the chapter summary section titled 'The Big Picture' will help you review for exams. 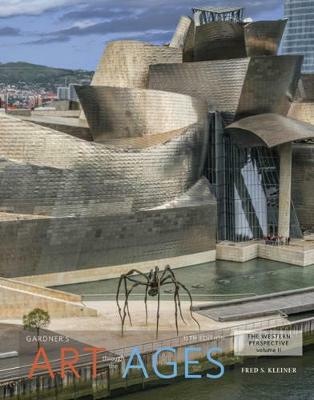 In addition, MindTap for this 15th edition of GARDNER'S ART THROUGH THE AGES provides an interactive digital experience for exploration, study, and development of critical-thinking skills. It includes an interactive eBook with note taking capability, zoomable versions of images included within the text, over 100 videos, audio resources, image flashcards, a Guide to Studying, quizzes and critical-thinking questions, and much more.